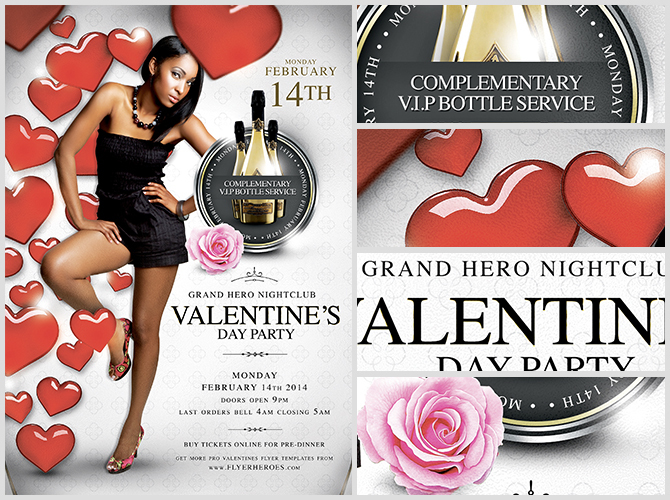 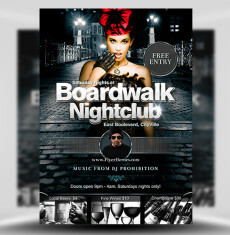 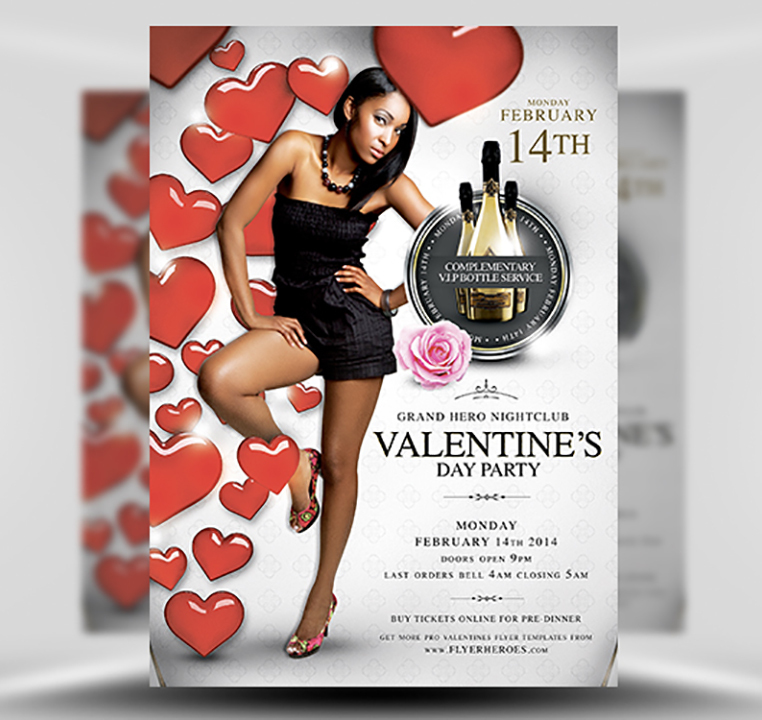 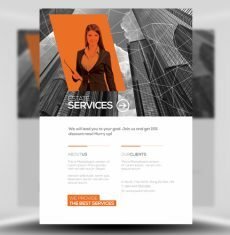 Valentine’s Day Party Flyer Template is a classy and luxurious Photoshop PSD Valentine’s Day Flyer Template perfect for promoting nightclub events and other club style promotions. 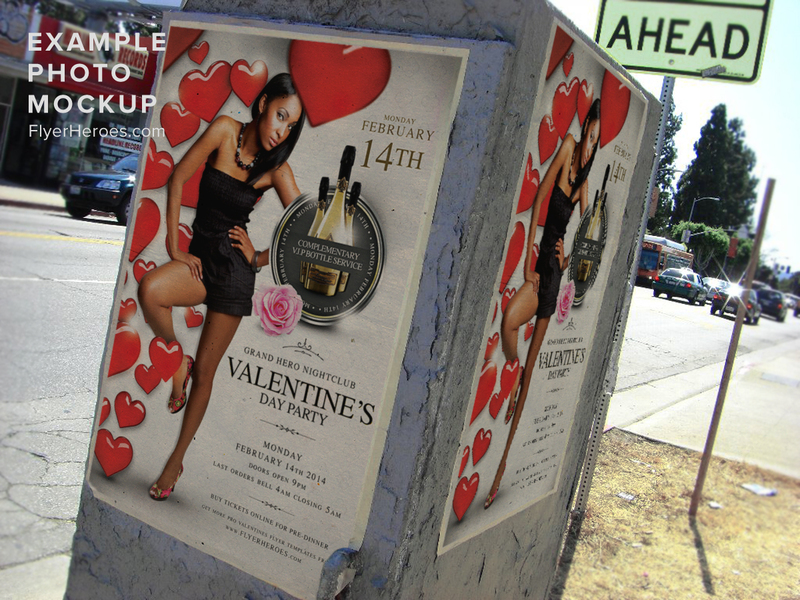 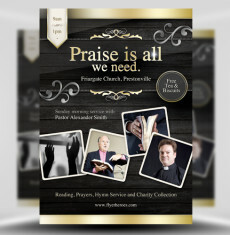 A well organized and color-coded layer structure makes changing images placeholders and text areas quick and easy. 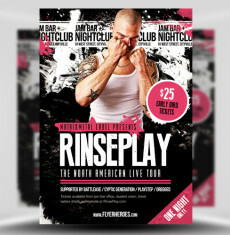 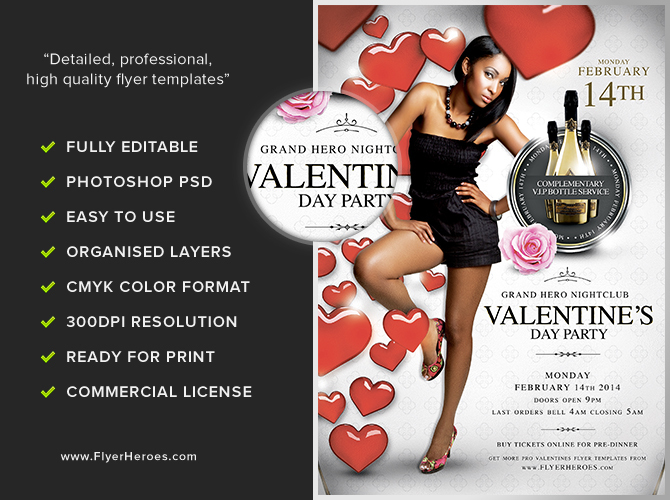 Valentine’s Day Party Flyer Template is a premium Photoshop PSD flyer/poster template designed by FlyerHeroes to be used with Photoshop CS4 and higher.